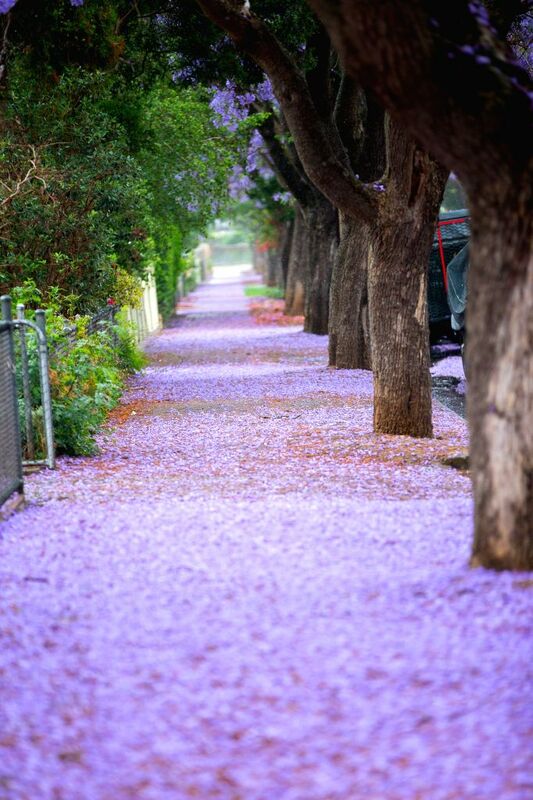 Adelaide: Streets are covered with fallen Jacaranda flowers in Adelaide, South Australia, Nov. 22, 2014. Jacaranda is a sub-tropical tree native to south-central America. It is widely planted in other parts of the world due to its beautiful and long-lasting flowers. 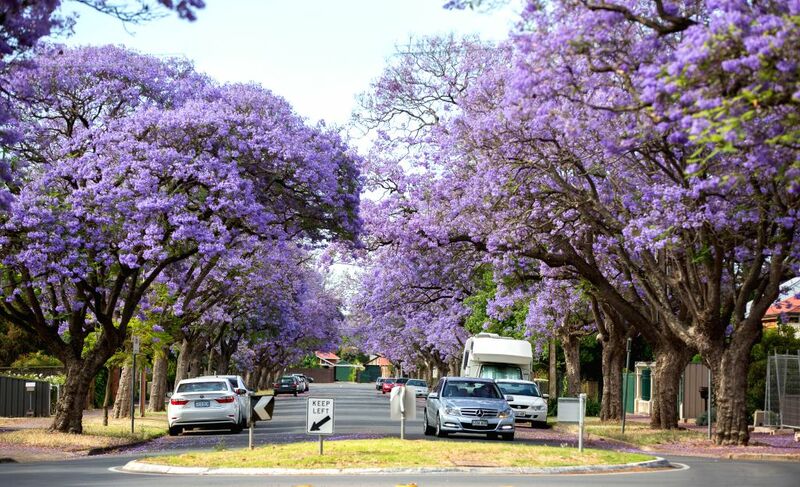 Purple flowers of Jacaranda blossom in Adelaide, South Australia, Nov. 21, 2014. 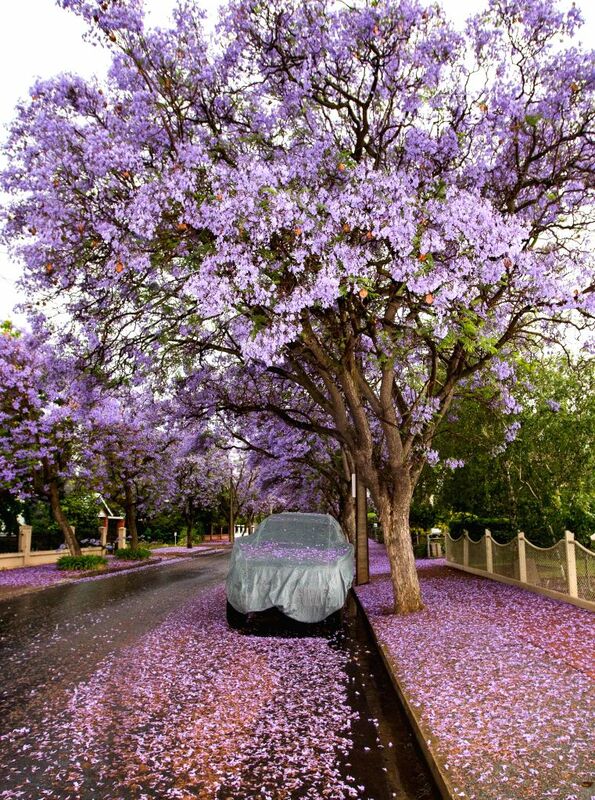 Jacaranda is a sub-tropical tree native in south-central America.